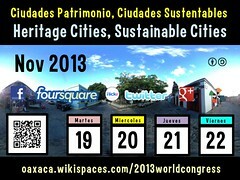 November 19-22 the city of Oaxaca de Juárez hosts the Congress of the World Heritage Cities Organization. What do we – as locals and visitors – expect from a world-class World Heritage City? Qué queremos – come gente local y visitantes – esperamos de una Ciudad Patrimonio de la Humanidad de clase mundial? What are the examples of responsible travel in world heritage cities? Cuales son los ejemplos de viajes responsables en las ciuades Patrimonio Mundial? What are the challenges of developing or maintaining responsible travel in world heritage cities? Cuales son los retos en el desarrollo y mantenimiento de viajes responsables en las ciuades de patrimonio mundial? Will the congress provide livestreaming video to provide access to those who cannot attend in person? Tendrá el congreso video en vivo para ofrecer acceso a los que no podrían participar en persona? 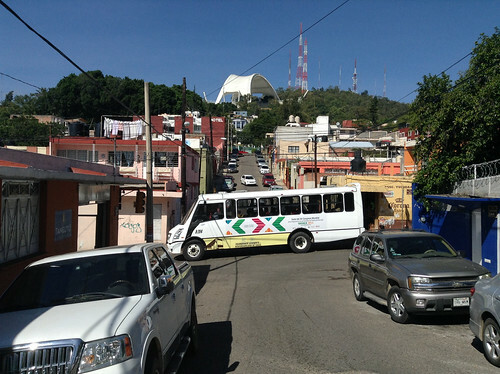 Will there be free, public parallel events in Oaxaca City during the congress? Serán eventos gratis y paralelos en la ciudad de Oaxaca durante el Congreso? Comments welcome on Ron's blog and via Outbounding. We are fans of UNESCO's Paris Declaration on Open Educational Resources and would like to see the open education philosophy integrated into discussions on world heritage cities. 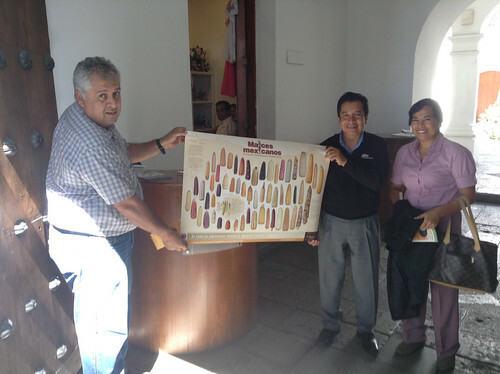 Second we fans of Oaxaca de Juárez, host of the the 2013 congress. 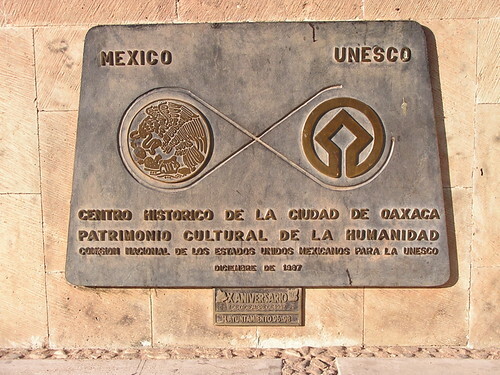 Third, we are fans of responsible travel and have hosted responsible travel events in Oaxaca since 2001 and pay great interest to responsible travel in cities around the world. Thus we are very keen on seeing what the Congress of the World Heritage Cities Organization delivers to the world and to local community. That is the essence of responsible travel. So during the event we will be paying attention and updating headlines and resources via the Congress wiki. Viva open journalism! Editors are invited to add links and translate. We know this will be an old school event, but we would also like to make the most of current technologies. As part of our contribution to the event, we will be updating our Foursquare lists of places to visit in the historic center of Oaxaca City and the notable and historic trees of the city. These trees are living monuments. The nearby Árbol del Tule is a nature-lovers must visit, preferably with ample time to visit some of the other ahuehuetes in the lovely town. Photos are welcome via our Flickr Groups Oaxaca Today and Oaxaca Trees. For those interested in connecting with Planeta.com on the ground, join us for Quito, Ecuador Night at Comala on Wednesday, 5-6pm and at the Friday/Saturday Pochote Xochimilco Market at 10am.